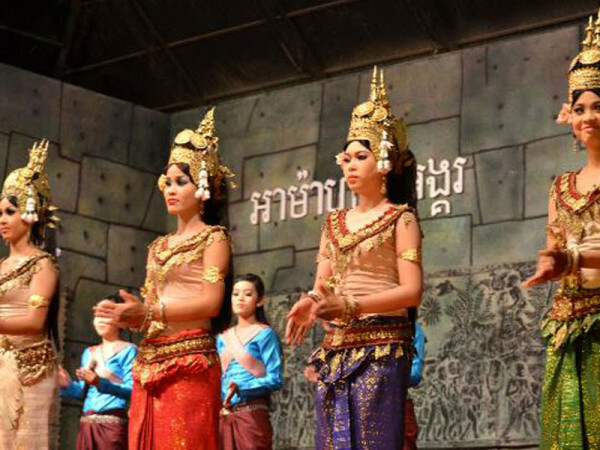 In 1940s, Queen Sisowath Kossomak Nearirath Serey Vatthana, the wife of King Norodom Suramarit, was sent an invitation to Sothearath primary school, seeing the school mistress prepared an inspirational angkor apsara dance which is performed by young school in the paper apsara costume includes Crown, Sampot and Flower, all referencing Apsara represented at Angkor Wat. The Queen got the idea to re-create the dance and led her first granddaughter, Princess Norodom Buppha Devi, a daughter of Norodom Sihanouk, to become the first professional apsara dancer of the modern era. The Princess started practicing the dance since she was 5 years old and danced apsara for first time during King Norodom Sihanouk’s tenure. In 1967, the fine–boned young princess, clad in silk and glittering jewels, performed beneath the stars on the open pavilion within the palace walls, accompanied by the royal dance troupe and the “pinpeat” orchestra. Selected by her grandmother, Queen Sisowath Kossomak, to become a dancer when she was only a baby. 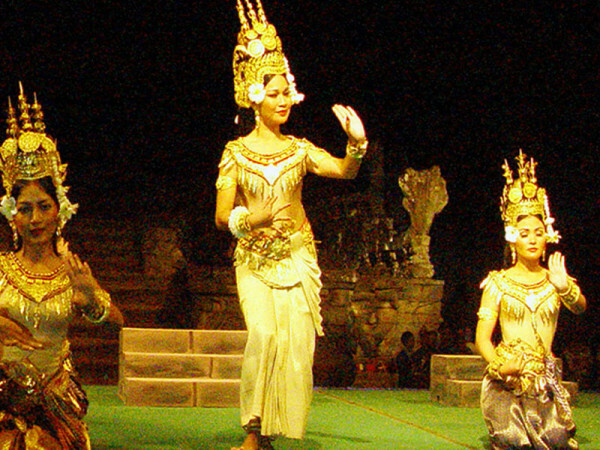 She toured the world as the principal dancer of the apsara role. 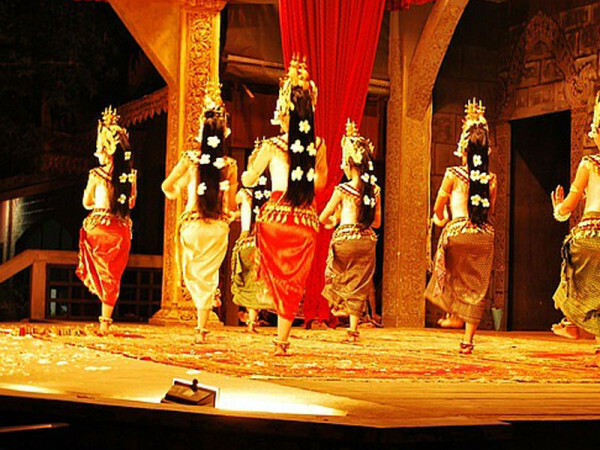 During the Angkorian era, dance performances were enjoyed by kings and common people alike. 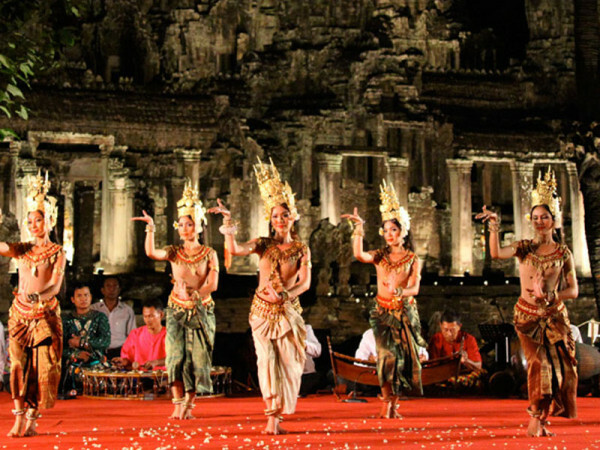 The dances are perhaps better described as ‘dance-dramas’ as they also convey a story or message which also can be found portrayed several places in the Angkor temples. 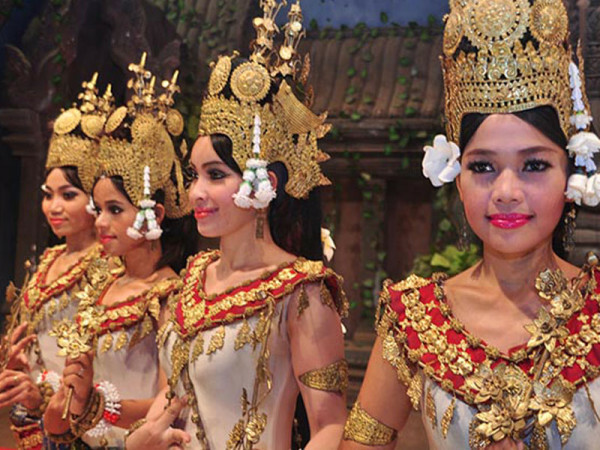 It has played an important role of the Khmer cultural heritage, but like many other Cambodian cultural traditions, Apsara dancing and other traditional Khmer dances were almost destroyed during the Khmer Rouge regime. 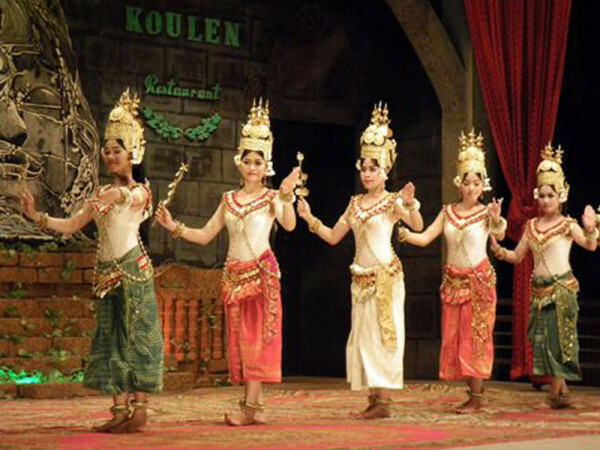 Due to the increased interest for Cambodian culture and, in large part the extraordinary efforts of Her Excellency Princess Bopha Devi, the ancient art form has seen a great revival, and today you will find many places with regular shows and performances in Siem Reap and Cambodia.